At our beachfront Yoga Shala, we offer our hotel guests daily yoga classes at 8:00am & 5:00pm. The cost is $40,000 COP per person, per class. 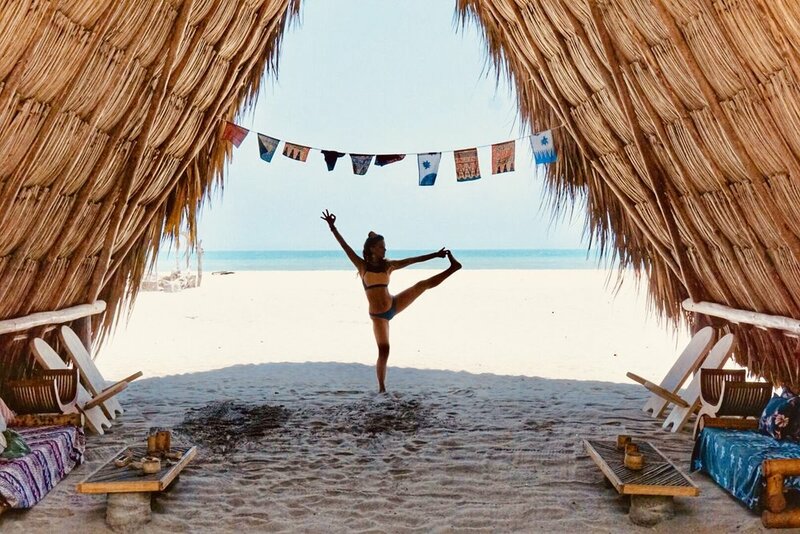 Our local and international, resident yoga teachers travel to Gitana del Mar specifically to share their knowledge and practice that they have perfected through their certified training courses. These instructors specialize in Vinyasa, Hatha, Ashtanga, Restorative & Yin Yoga techniques. At Gitana del Mar, we specialize in hosting Yoga, Healing & Spiritual Retreats. Our Retreat Beach Resort is designed and built specifically for our guests to reconnect with Mother Nature, both through relaxation and adventurous outdoor activities. We can help you organize a retreat or private vacation that recharges and nourishes the mind, body and spirit, while also immersing you and your group in local culture and adventures. Our retreats and group packages are limited to groups of 27 people or less. Please visit our ORGANIZE A RETREAT PAGE for more information and to fill out the specific Yoga Retreat Inquiry Form at the bottom of the page. If you are interested in joining one of the upcoming Retreats at Gitana del Mar, please visit our JOIN A RETREAT PAGE.